Help support the K-9 officers of Stanislaus County. 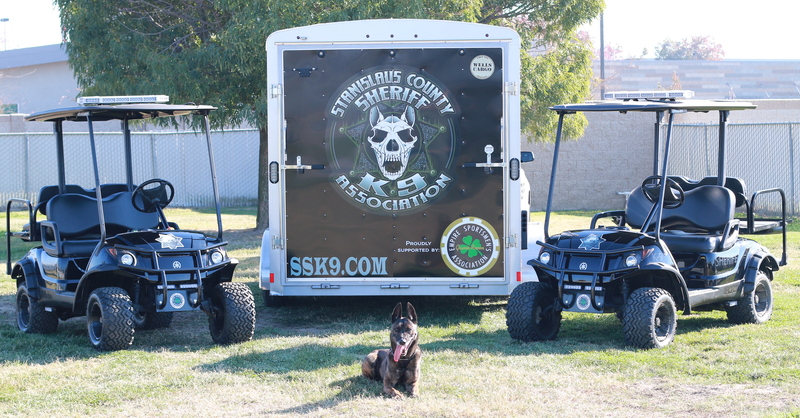 The purpose of the Stanislaus Sheriff K9 Association is to supplement training and equipment for our active K9 teams and to provide the best care possible for our retired K9 partners, educate the public regarding police service dogs, and honor our K9’s when they pass away. We accomplish this mission through generous donations from the community and organized fundraisers. The Stanislaus Sheriff K9 Association is officially recognized by the IRS as a 501 (c) (3) Non-Profit. We enhance the safety of our K9 partners and their handlers with safety equipment beyond what the department is able to provide. © 2018 Stanislaus County Sheriff's K9 Association .